The head of a musical dynasty, Neeme Järvi is one of today’s most respected maestros, conducting many of the world’s most prominent orchestras and working alongside soloists of the highest calibre. A prolific recording artist, he has amassed a discography of nearly 500 recordings, including numerous discs for BIS. Currently artistic director and principal conductor of the Estonian National Symphony Orchestra, Järvi has held positions with orchestras across the world, and is music director emeritus of both the Residentie Orkest and the Detroit Symphony Orchestra as well as principal conductor emeritus of the Gothenburg Symphony and conductor laureate of the Royal Scottish National Orchestra. In September 2018, Neeme Järvi received the Gramophone Lifetime Achievment Award. He has previously been honoured with many international awards and accolades. From his native country these include an honorary doctorate from the Estonian Academy of Music and the Order of the National Coat of Arms, and in 1998 he was voted ‘Estonian of the Century’. He holds honorary doctorates from several universities, and is a member of Royal Swedish Academy of Music, and the recipient of the Royal Swedish Order of the Polar Star. 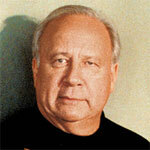 For further information please visit Neeme Järvi's website.